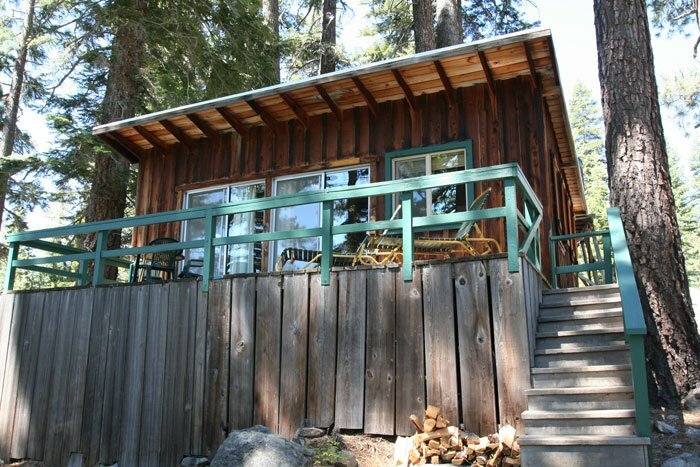 Rainbow is a cabin that is nestled within our grounds that still entertains you with a gorgeous view of the lake and trees as seen within our photos. 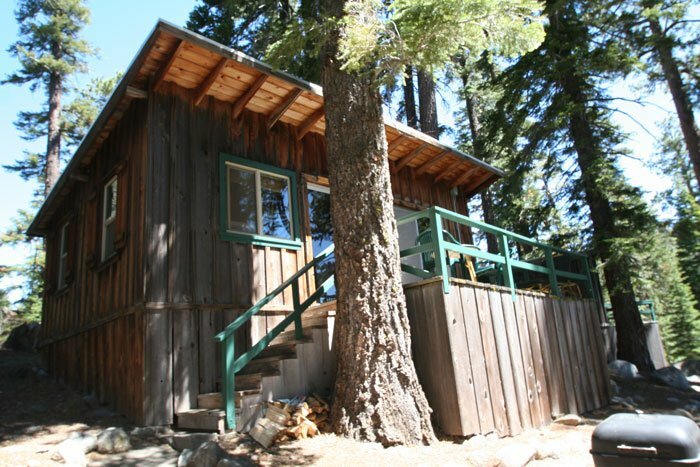 In this cabin, you have your own fully stocked kitchen, a double bed in the bedroom, and a daybed in the living room. 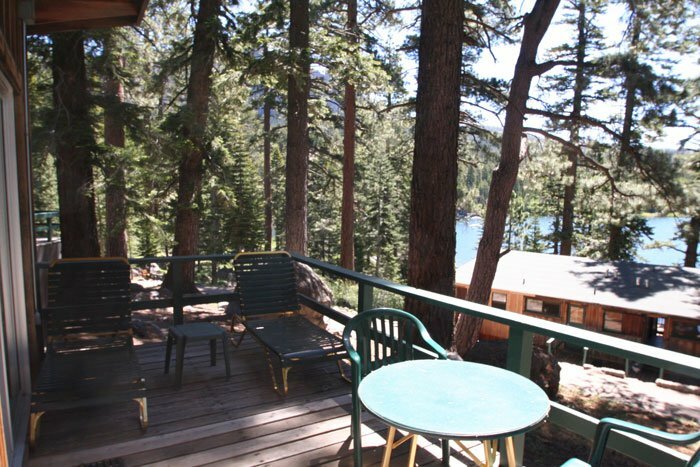 We strongly encourage you to come back to nature and stay within the mountainside at Kit Carson Lodge. 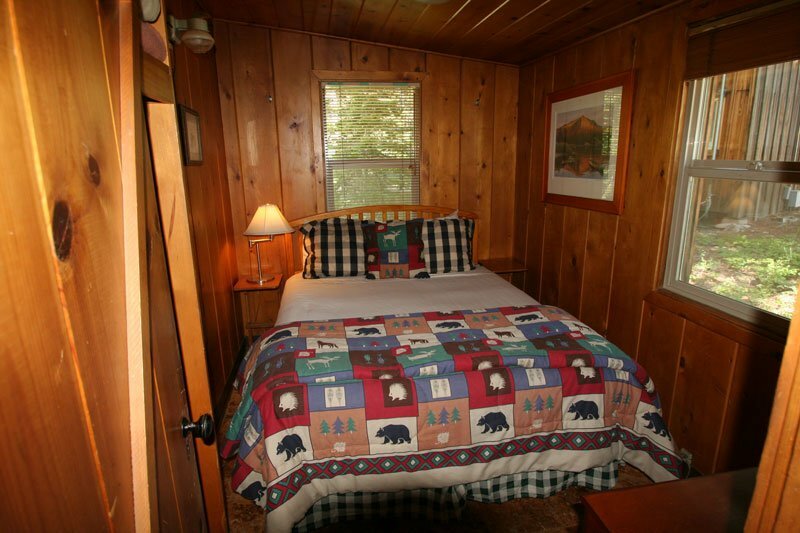 Mackinaw is a cabin that is nestled within our grounds that still entertains you with a gorgeous view of the lake and trees as seen within our photos. 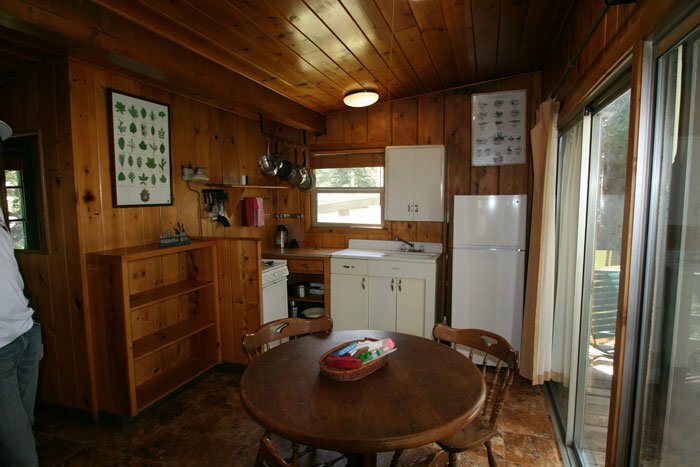 In this cabin you have your own fully stocked kitchen, a double bed in the bedroom, and a daybed in the living room. 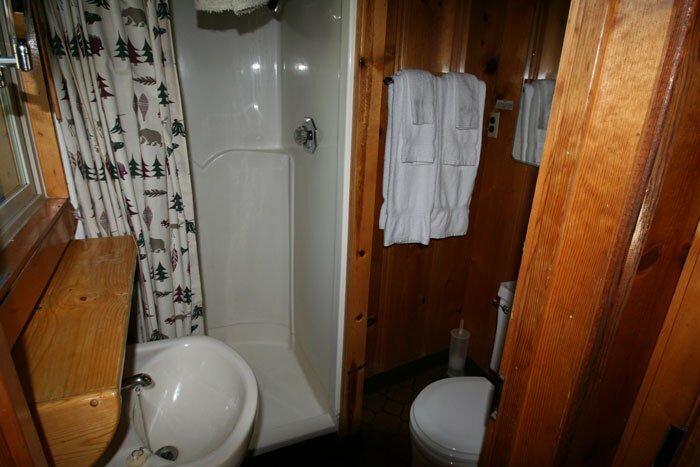 We strongly encourage you to come back to nature and stay within the mountainside at Kit Carson Lodge. 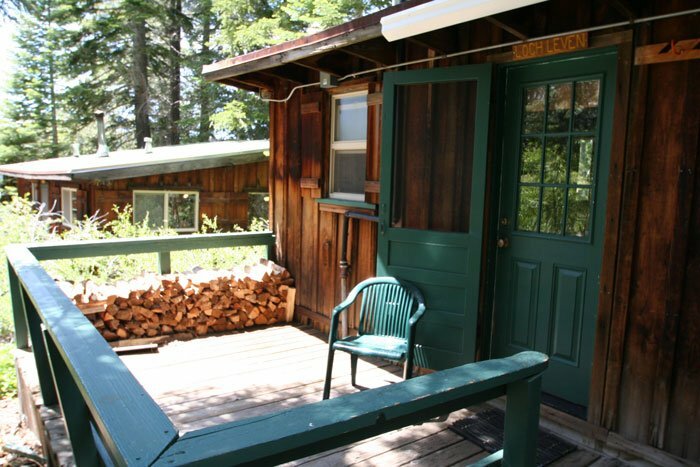 Loch Leven is a cabin that is nestled within our grounds that still entertains you with a gorgeous view of the lake and trees as seen within our photos. 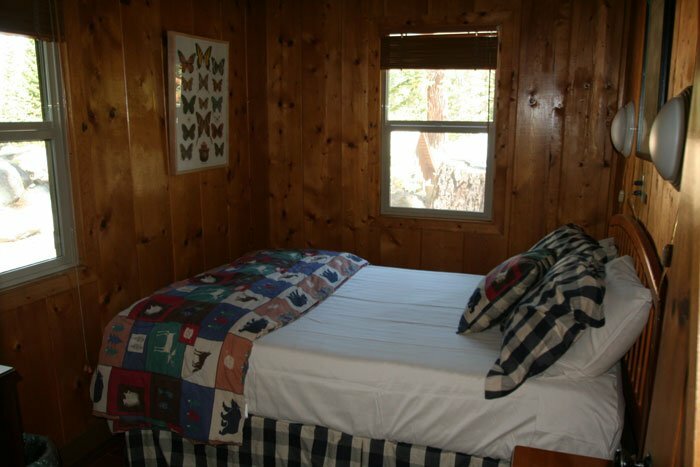 In this cabin you have your own fully stocked kitchen, a queen bed in the bedroom, and a sofa in the living room. 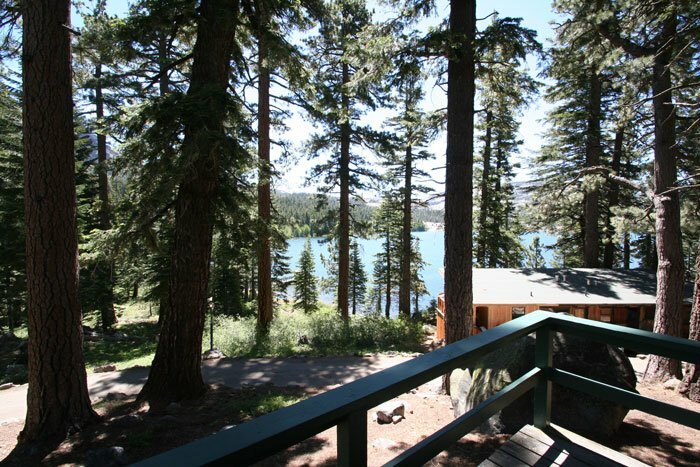 We strongly encourage you to come back to nature and stay within the mountainside at Kit Carson Lodge.